JARCH HY Series Pneumatic Electrical Rotary Union Support 2-12 passage way Pneumatic/Hydraulic, it can combine with power,signal,Ethernet,USB,Devicenet,Control Net,Canbus on request. 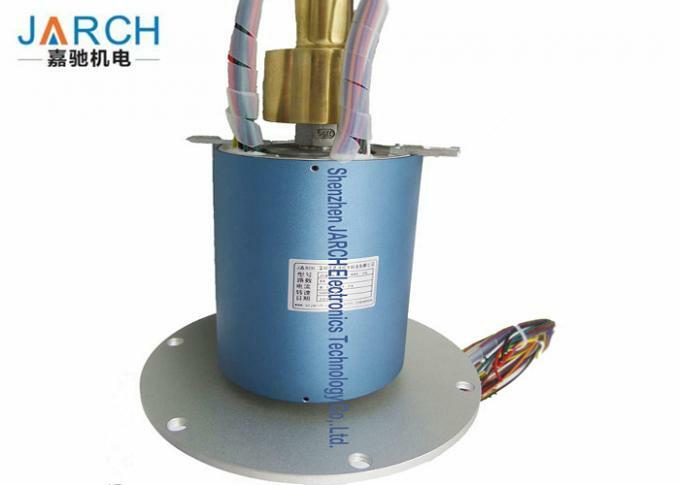 It also could be mounted by shaft or optional flange mounting.Passage media types can use Air/Gas, Chemical, DI / Tap Water, Oil, Water/Glycol. 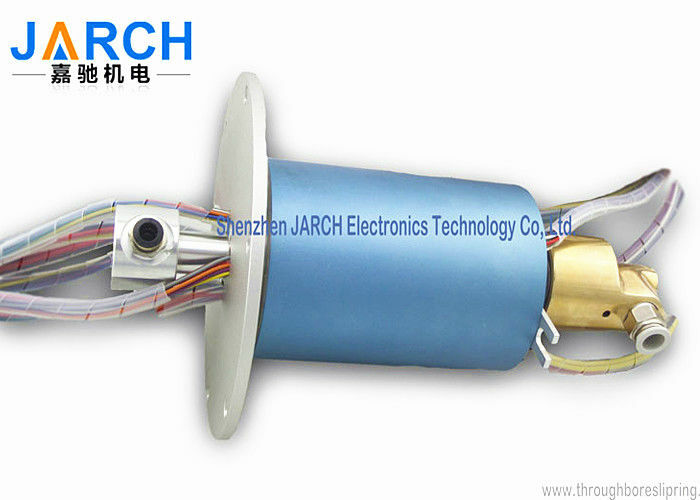 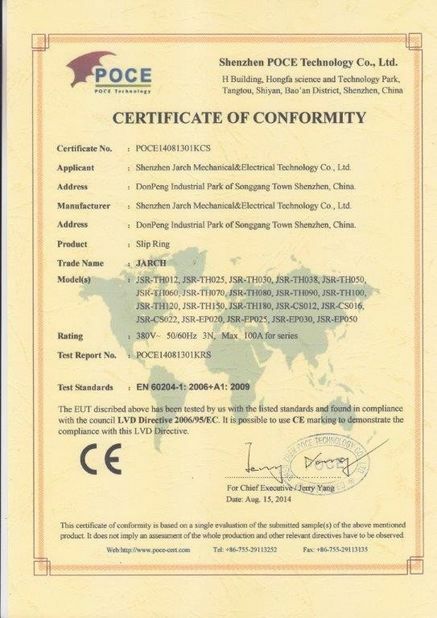 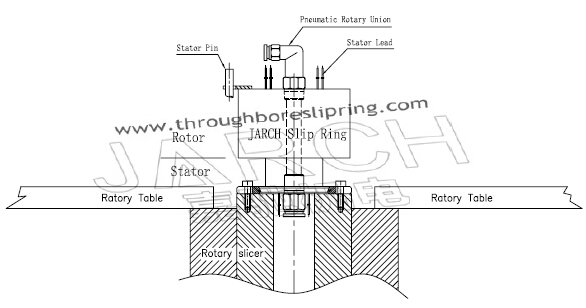 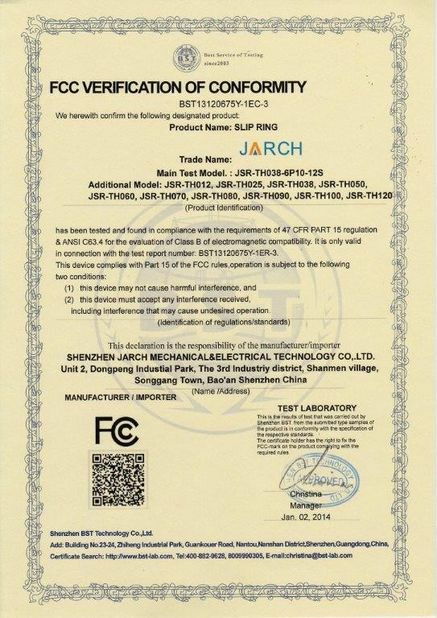 The JSR-HY038-49E-1G provide 1 passage 10 ~12mm rotary union combine36 circiuts 2A signal or 15A Power electrical slip ring.The slip ring provide a rotary flange can be install on a rotary table.